Each year, faculty are recognized for their extraordinary efforts in education and discovery. 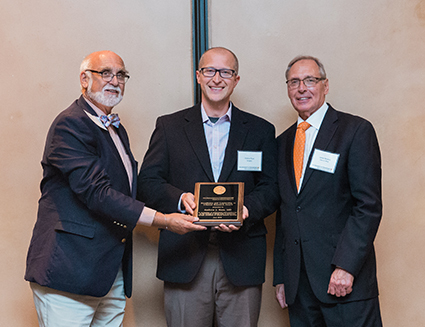 The 16th annual UT Graduate School of Medicine Faculty Awards were presented by James J. Neutens, PhD, Dean; William Metheny, PhD, Assistant Dean for Graduate Medical and Dental Education; and Mitchell Goldman, MD, Assistant Dean for Research, during the New Resident and Fellow Reception and Awards Ceremony. 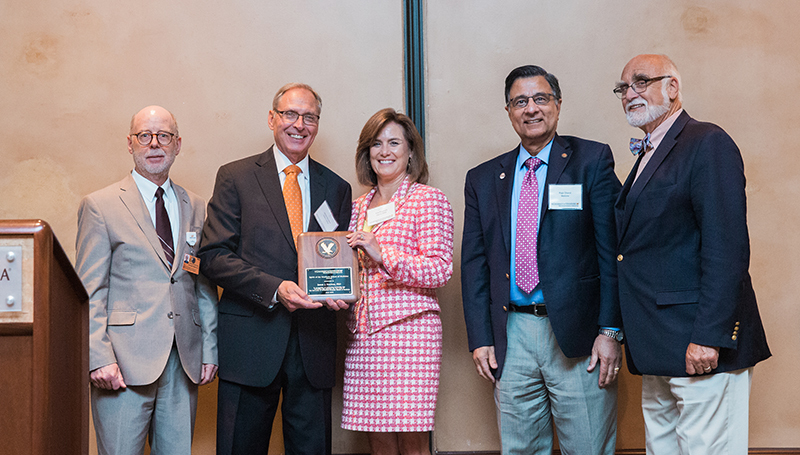 Among the awardees, Dean Neutens received a GSM Spirit Award for his outstanding tenure as Dean for the UT Graduate School of Medicine since 2007. In presenting the award, Dr. Metheny noted Dean Neutens created the GSM Spirit Award and it is only fitting that he should be honored prior to his impending retirement as Dean later this year. Dr. Orucevic received the GSM Spirit Award for displaying excellence in healing, education and discovery. 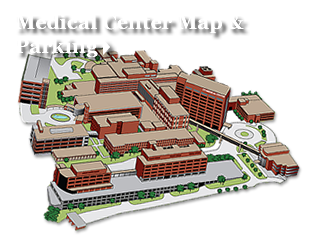 She is the department’s expert in gynecologic pathology and teaches both residents and surgeons in this discipline. She is genuine in her desire to see residents succeed and takes great pride in teaching residents at the microscope, in slides sessions, and in didactics. Dr. Orucevic's greatest passion is research, and she conducts quarterly sessions with the residents regarding research design. Since October 2014, Dr. Orucevic serves as the department’s Director of Research. In this role, Dr. Orucevic mentors and assists residents and students with their research projects. Dr. Orucevic also mentors residents and faculty in other departments and is well known throughout the organization as a great research collaborator. Dr. Orucevic is also the "go to" person for research in the Cancer Institute. In 2017, Dr. Orucevic was nominated for the YWCA 2017 Tribute to Women in the Technology Research and Innovation category where she was one of 20 finalists among some of the brightest most prestigious women in our area. She invented a free-to-use, online tool to help predict breast cancer recurrence, and she led a team of faculty and residents who gave presentations at the second World Congress on Breast Cancer. Dr. Fortner joined the UT Graduate School of Medicine in 2016 and serves as Medical Director of Obstetrics and Division Director of Maternal-Fetal Medicine. 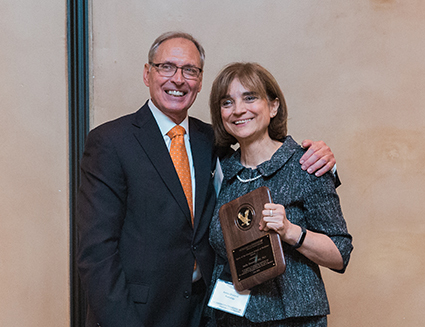 After her first year on faculty, she received the annual Council on Resident Education in Obstetrics and Gynecology Award, which is voted on by the entire residency program. 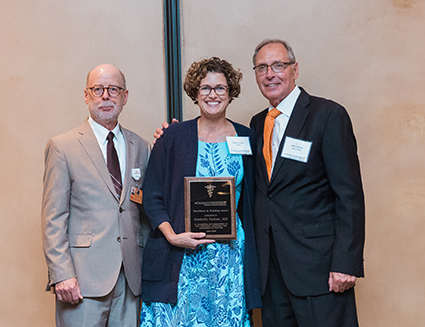 After her second year, the medical students voted Dr. Fortner as the recipient of the annual Association of Professors in Gynecology and Obstetrics Award as the best teaching faculty member for medical students in the department. Residents have commented that Dr. Fortner is a great asset to evidenced-based medicine and that she advocates for patients and residents and teaches in all moments with a positive attitude. Chair of Obstetrics and Gynecology Larry Kilgore, MD, said, "Dr. Fortner is a true triple threat with enthusiastic skills in education, research and patient care." Dr. Russ joined UT Graduate School of Medicine faculty in 2014 and was promoted to Associate Professor in 2017. He is Associate Program Director of the General Surgery Residency program and Director of Surgery Grand Rounds. Dr. Russ shows true leadership through discovery and clinical practice. He has given three invited lectures, mentored six residents in scholarly presentations and authored two book chapters. Dr. Russ sits on three departmental committees, six hospital committees and two national society committees. He also holds two invention disclosures. Residents have noted that he is an incredible surgeon and commented that colorectal was the best rotation because of him. 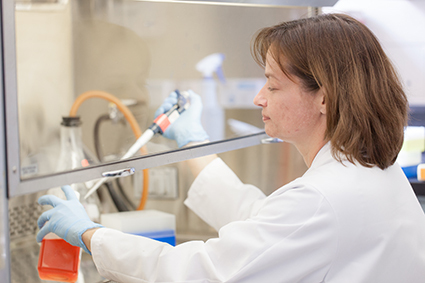 Dr. Stephenson came to the UT Graduate School of Medicine in 2013 and has a current grant through the National Institutes of Health for her research on expressing humanized bacterial luciferase in stem cells. She also supports the discovery mission through mentorship of a postdoctoral graduate student; regular participation on the Breast and Tumor Conference, the Operating Room committee and a collaborative research effort with UT College of Veterinary Medicine; and participation in a quality improvement project focused on decreasing costs and improving outcomes for complex reconstruction of the breast and head and neck. Dr. Stephenson's active in scholarly activity with her most recent publication in Scientific Reports, "Functionalized gold nanorod nanocomposite system to modulate differentiation of human mesenchymal stem cells into neural-like progenitors."